Agriculture is a huge economic driver, and it’s growing fast. Agriculture supports employment, international trade, research and innovation. Agriculture contributes 62,000 jobs to our Manitoba economy, directly employing 30,000 people. Please join us and help support agriculture in our community. 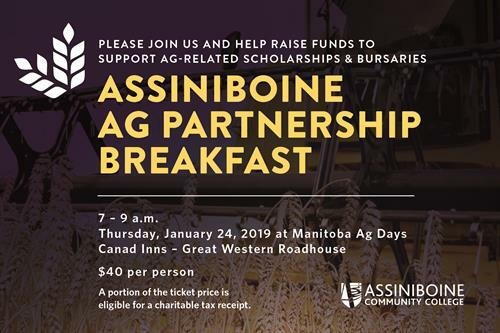 Assiniboine Community College’s third annual Ag Partnership Breakfast is happening on January 24, 2019. We are excited to announce Kim McConnell as our guest speaker to discuss Our Shifting Agri-Food Industry–Technology, Biotechnology, Commodity Changes and Public Scrutiny. 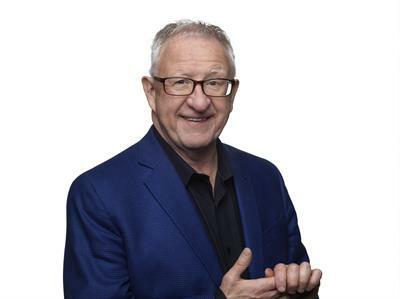 Kim is a southwestern Manitoba farm boy and founder of AdFarm, an international agriculture-focused marketing and communications firm. He is the recipient of many national business awards. In 2012 Kim was inducted into the Canadian Agricultural Hall of Fame. In 2017 he was appointed a Member of the Order of Canada, Canada’s highest civilian award. He is passionate about agriculture, food, youth and the entrepreneurial spirit. This event is a wonderful opportunity to connect with our ag students, members of industry, government, and alumni while raising funds for scholarships in agricultural-based programs. Your support allows us to deliver responsive programming, resulting in highly trained employees who are ready to contribute to the industry. Learn more about options for support. Over the years, Assiniboine has graduated well over 1,000 students from our ag programs including Agribusiness, Land & Water Management, Geographical Information Systems, Horticultural Production, Sustainable Food Systems and our Ag Equipment Technician apprenticeship program. 100% of our recent Agribusiness alumni surveyed secured employment within nine months of graduation. 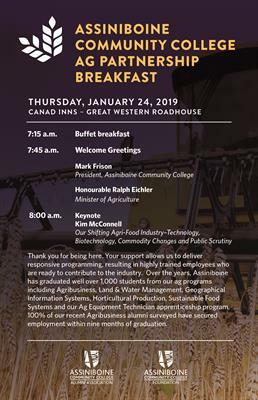 Join us on January 24th to further our efforts to support student and graduate success in the agriculture sector by purchasing tickets for you and your team or as a sponsor of the breakfast. Tickets are $40 each, with a portion of the ticket price eligible for a charitable tax receipt. To purchase tickets call 204.725.8739 or email a registration form to foundation@assiniboine.net. Please let us know of any dietary restrictions or accessibility conerns. A portion of the ticket price is eligible for a charitible tax reciept. Please consider supporting this event by purchasing tickets for you and your team or as a sponsor of the breakfast. 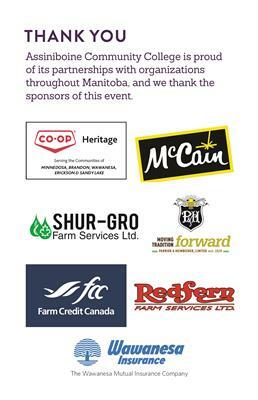 You may also wish to purchase a ticket for an Assiniboine ag student to attend.